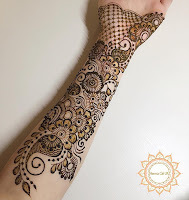 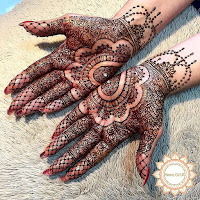 It is not easy to find out latest mehandi designs or new henna designs specially when internet is full with same old but beautiful henna designs. 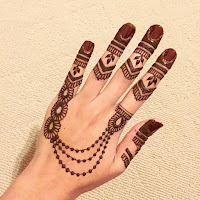 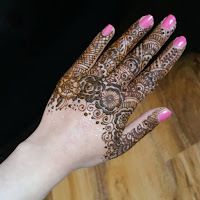 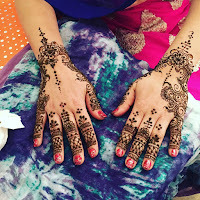 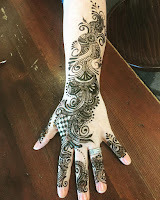 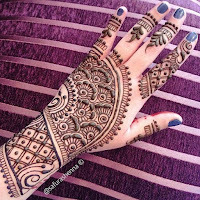 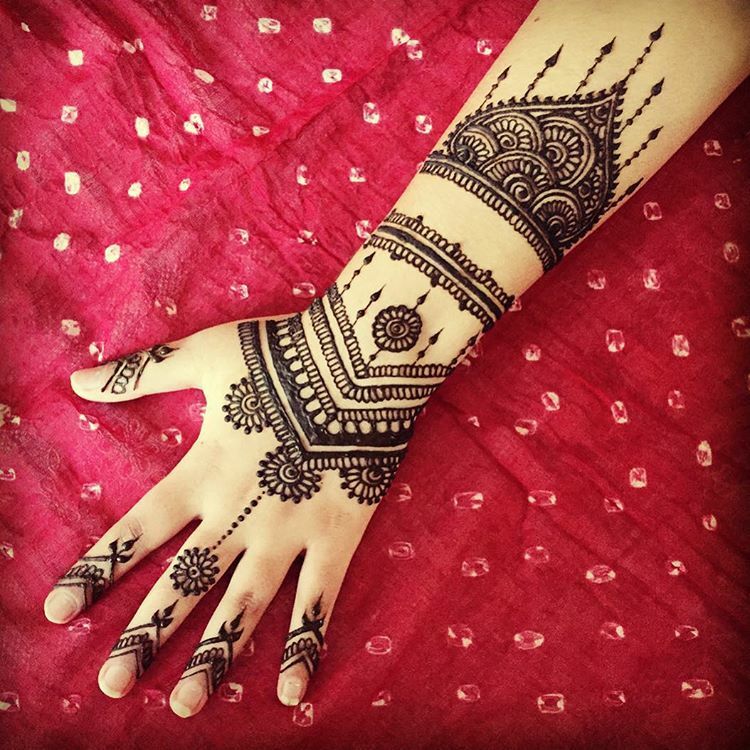 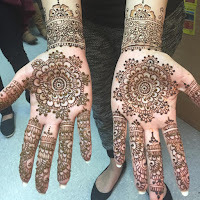 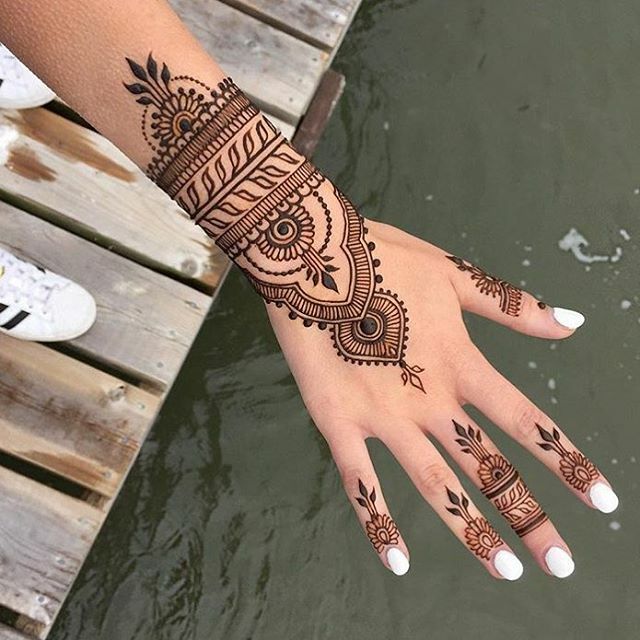 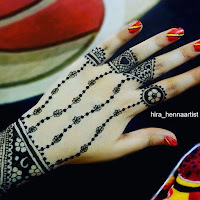 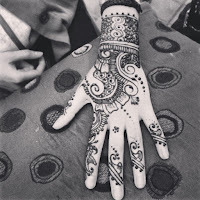 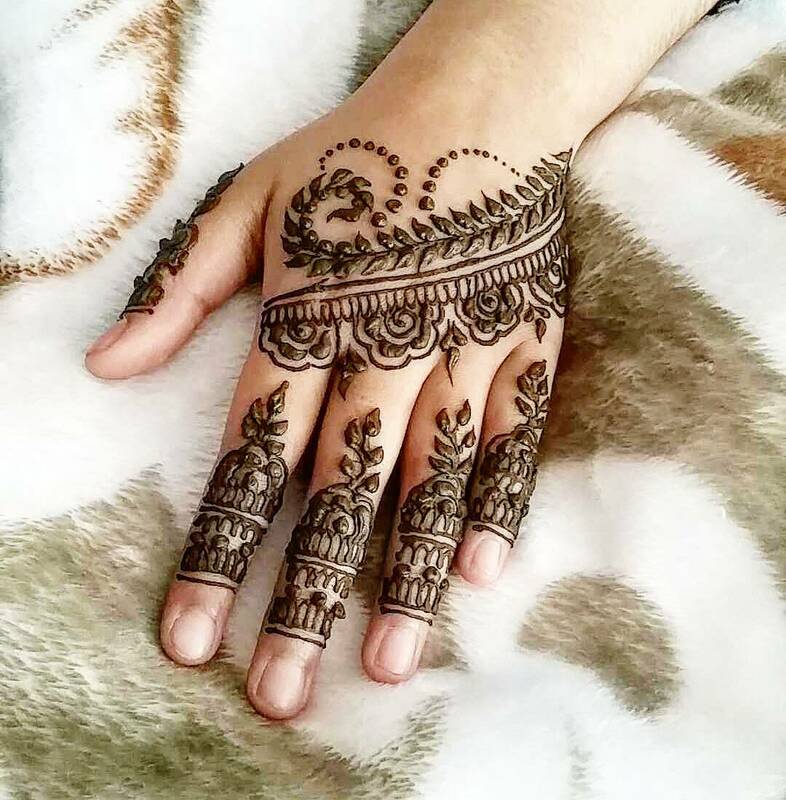 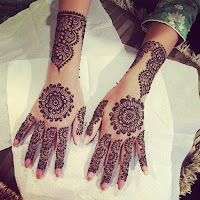 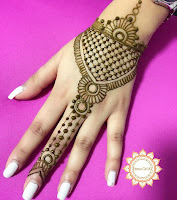 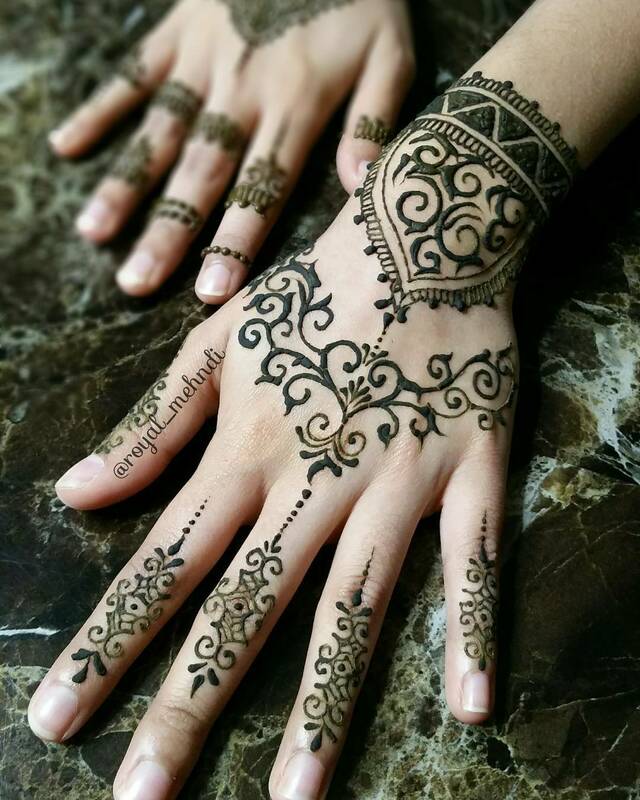 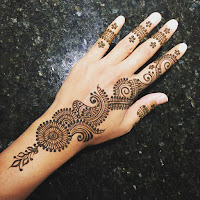 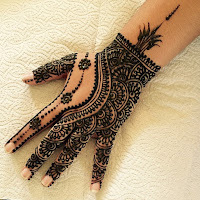 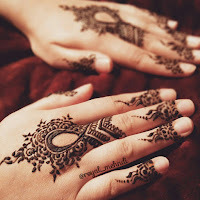 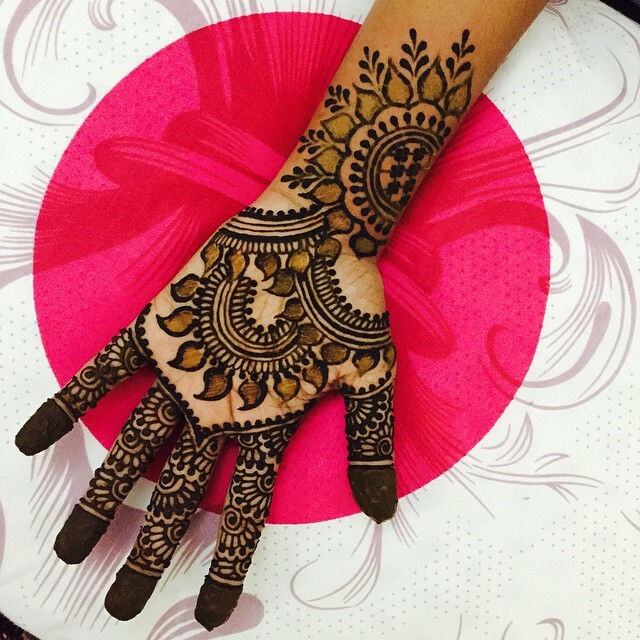 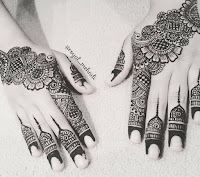 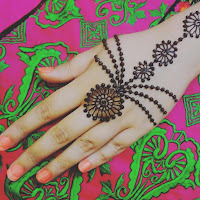 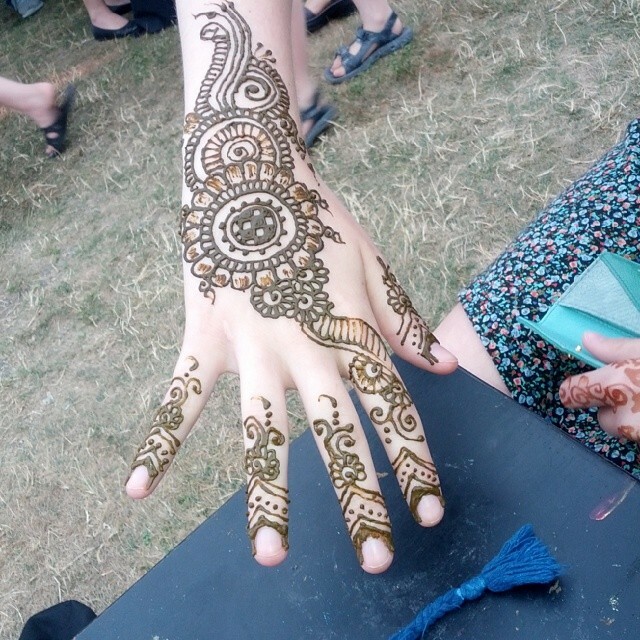 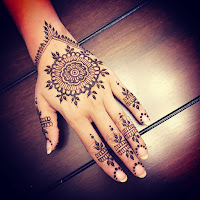 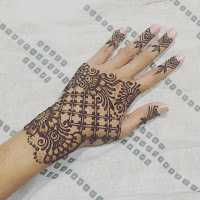 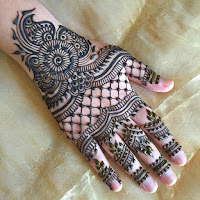 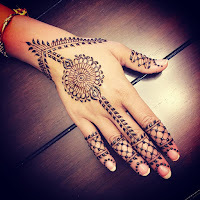 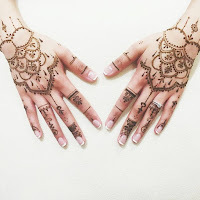 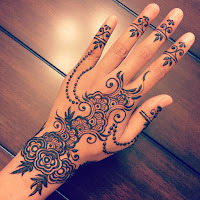 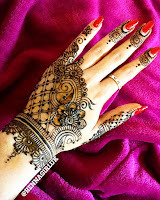 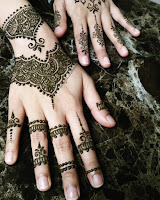 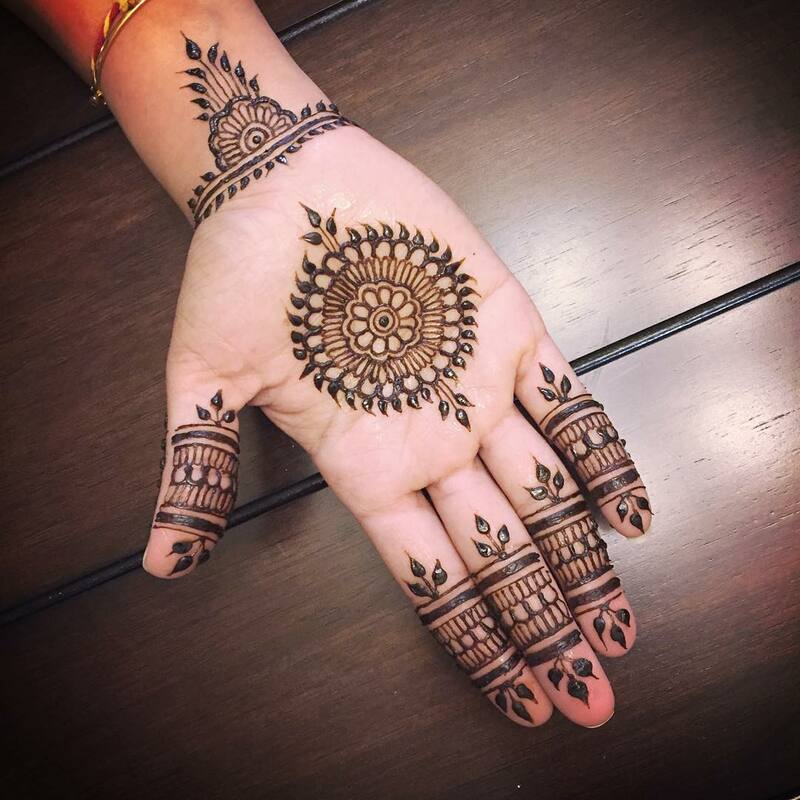 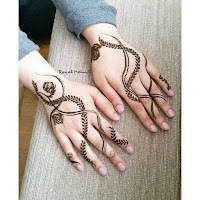 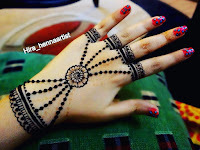 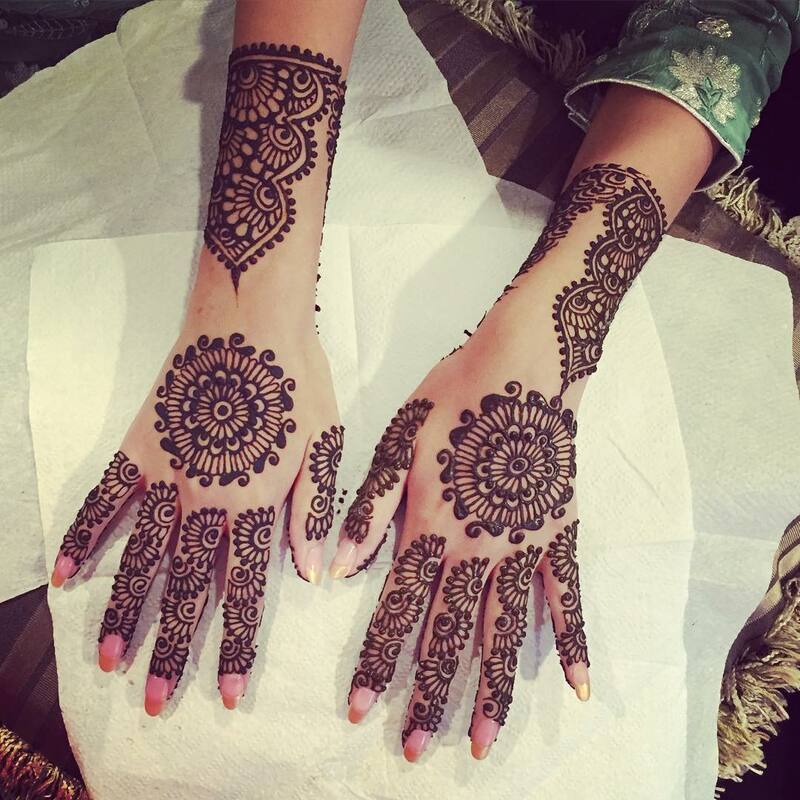 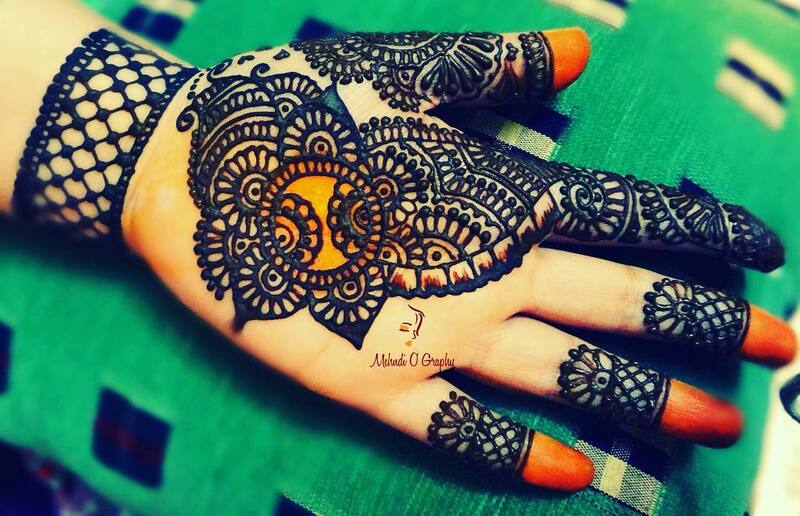 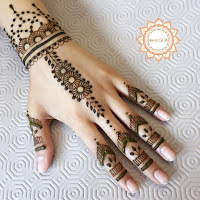 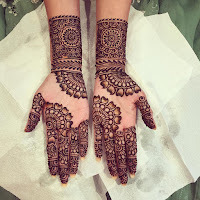 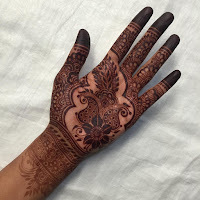 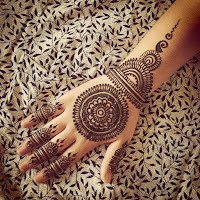 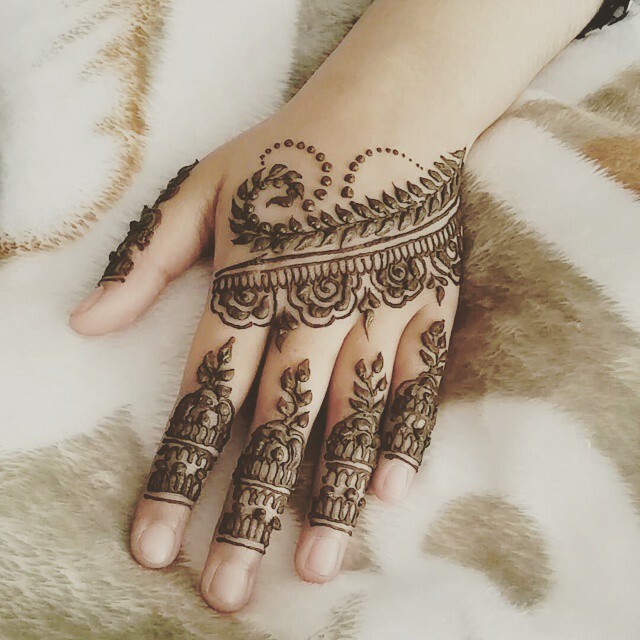 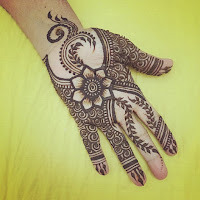 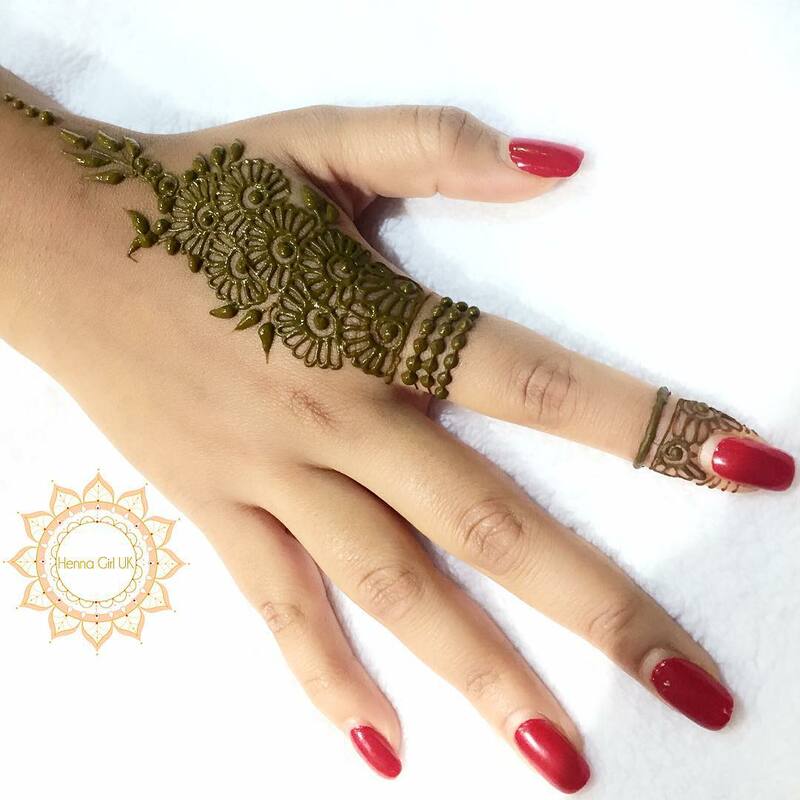 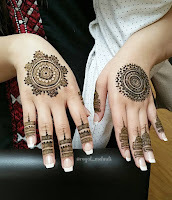 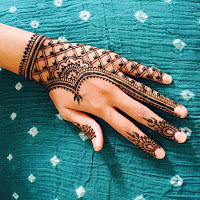 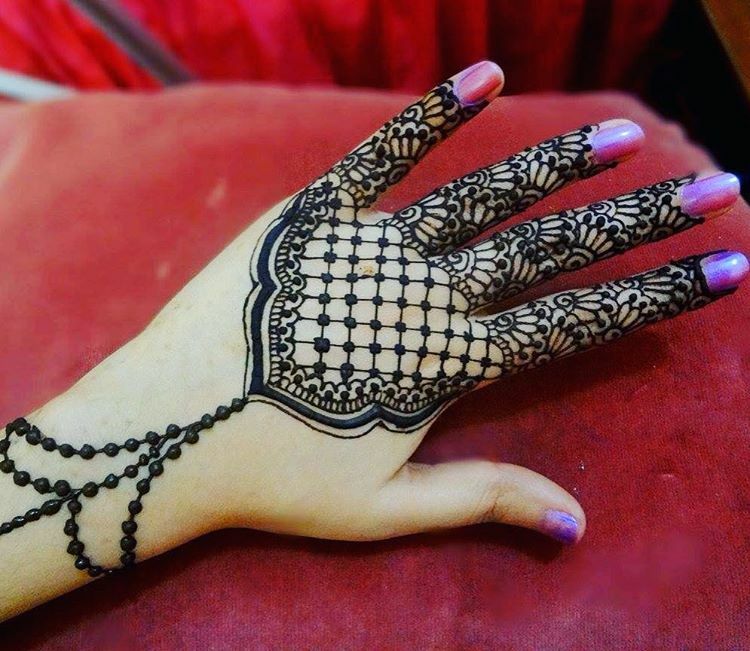 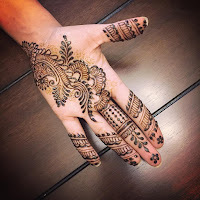 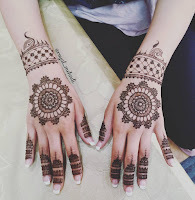 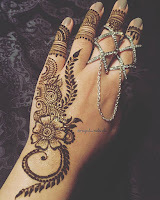 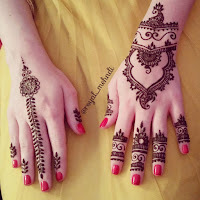 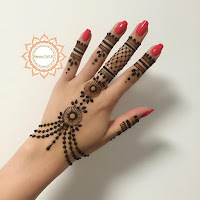 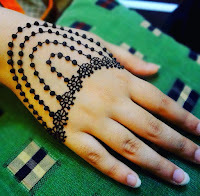 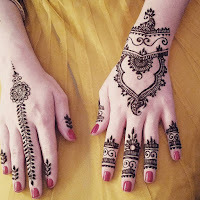 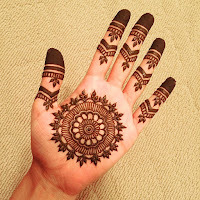 Every time when Eid comes or the special occasion like wedding, mehndi function or other events came, girls get excited to print beautiful mehandi designs on their hands and feet but they did not found latest henna tattoo designs on internet. So, today I have decided to make the biggest collection of mehandi designs which are specific to mehndi designs for hands. This collection includes all those henna designs which makes your hands more beautiful with creative and beautiful henna designs. 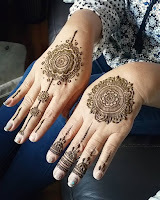 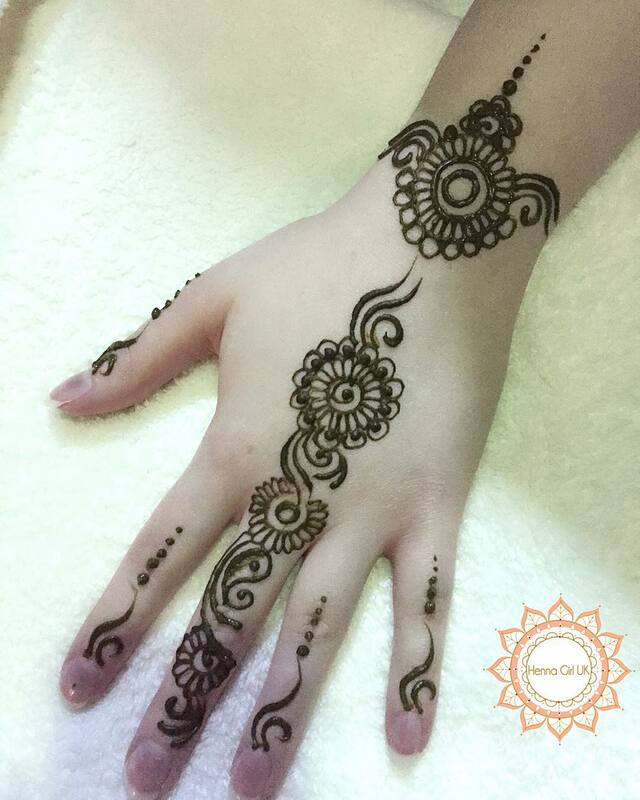 To make this henna designs useful for everyone, I have also includes easy henna designs and simple mehndi designs images so that everyone can take benefit from this collection. 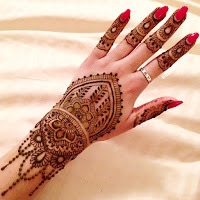 Applying mehndi design could be very tricky if you have not did it before in your life. 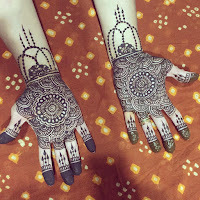 So it is better to practice mehndi design on paper another part of body before you actually apply on visible areas like hands and feet. 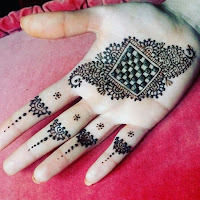 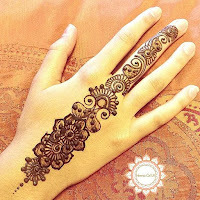 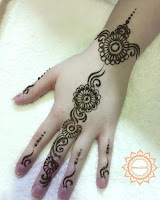 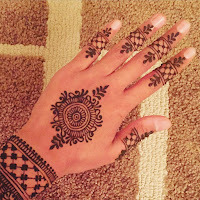 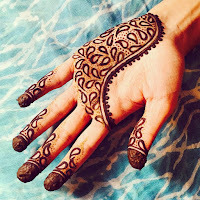 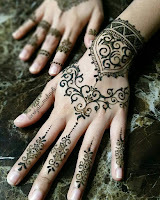 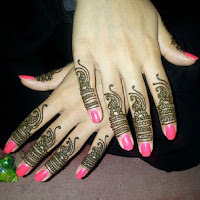 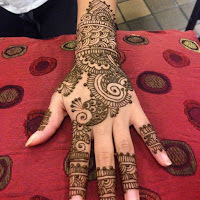 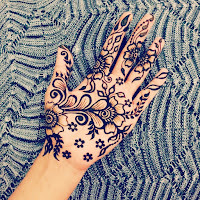 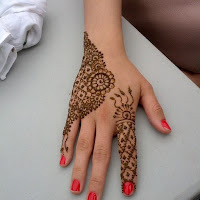 You could also get help from YouTube regarding to applying henna tattoo designs on your hands. 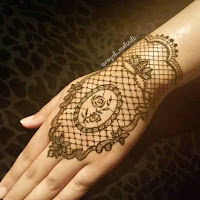 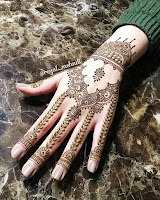 There are hundreds of free mehndi design tutorial videos are available on YouTube. 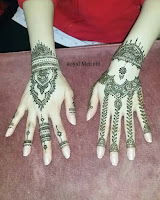 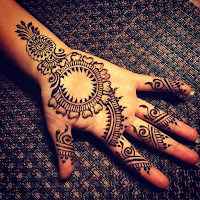 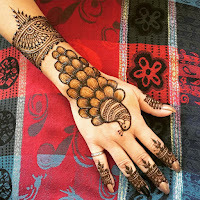 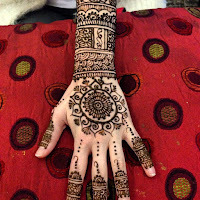 Start applying mehndi designs from simple and easy henna/mehndi designs to get better results. 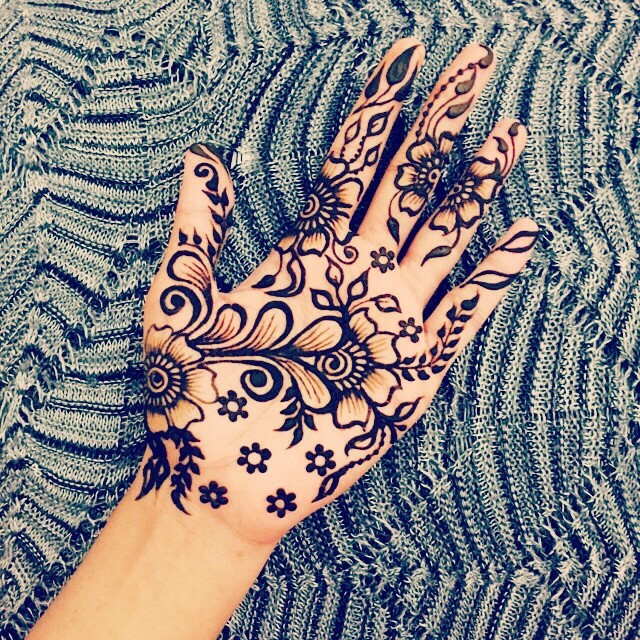 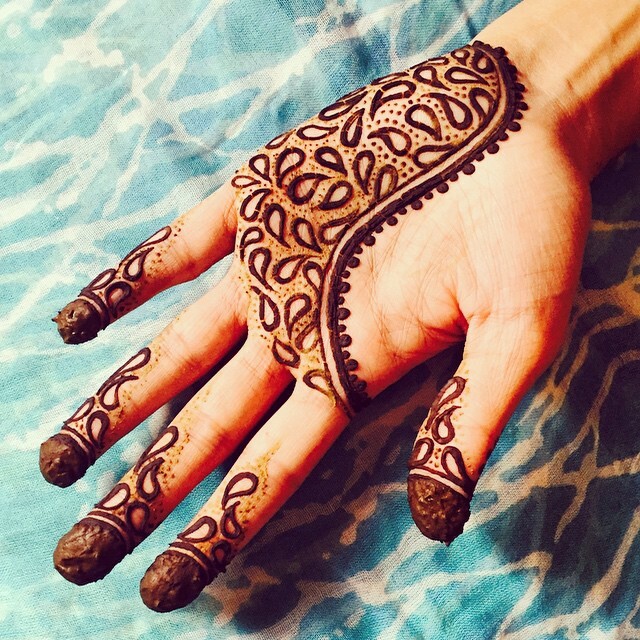 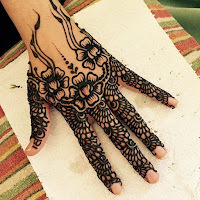 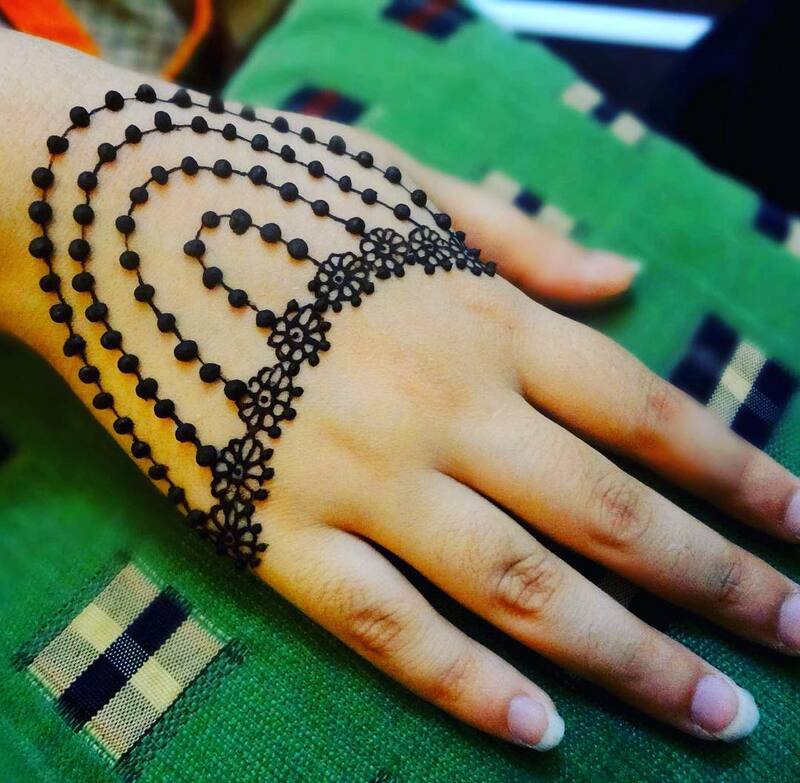 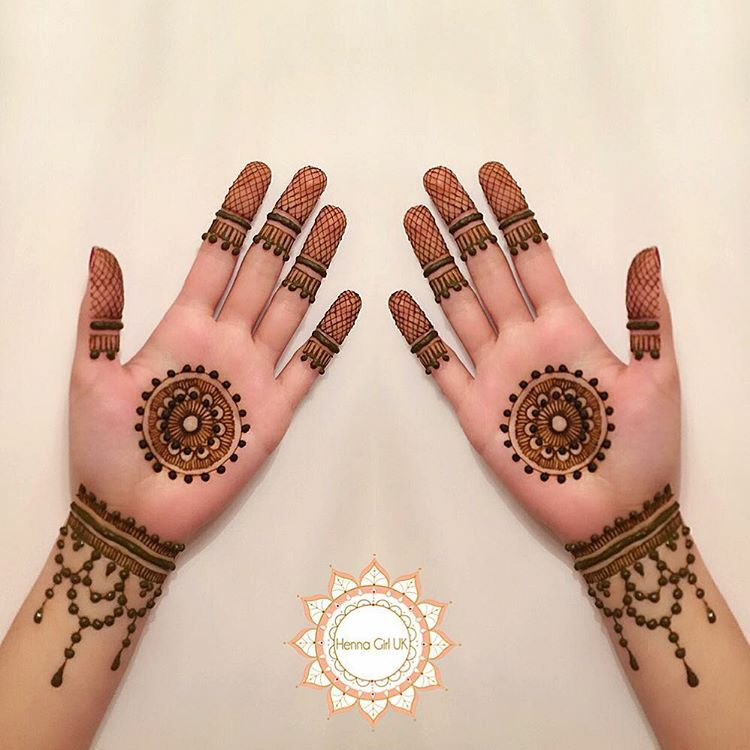 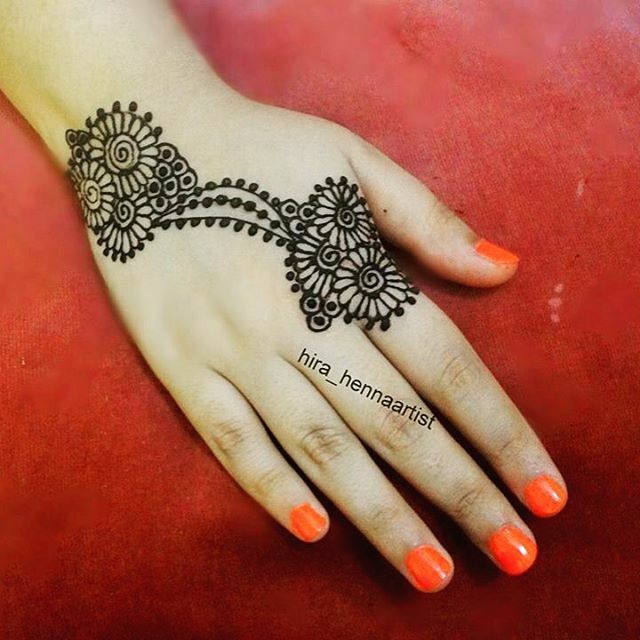 With the practice you could easily learn how to apply beautiful henna designs on your hands. 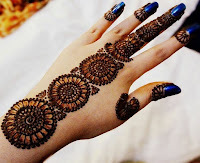 Mehndi or Henna also play has an important place in many religions specially in Muslim’s religion Islam and Hinduism. 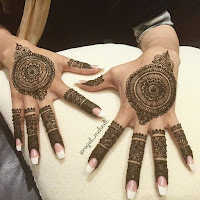 That’s why it is not just a cultural thing to apply mehndi designs on hands and feet but also many people makes henna designs on their body parts as religious thing. 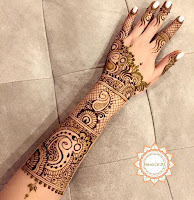 While the history of henna tattoo designs has been started from Africa and Middle East including Iran but today henna is known as mehndi in South Asian countries like India and Pakistan. 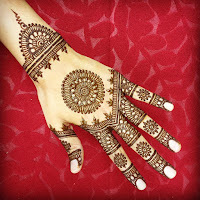 Instead of its original birth place, mehandi design got more popularity in India and Pakistan. That’s why there are more henna tattoo designers and mehndi designers could be found in Pakistan and India who has now taken this beautiful art to the other part of the world. 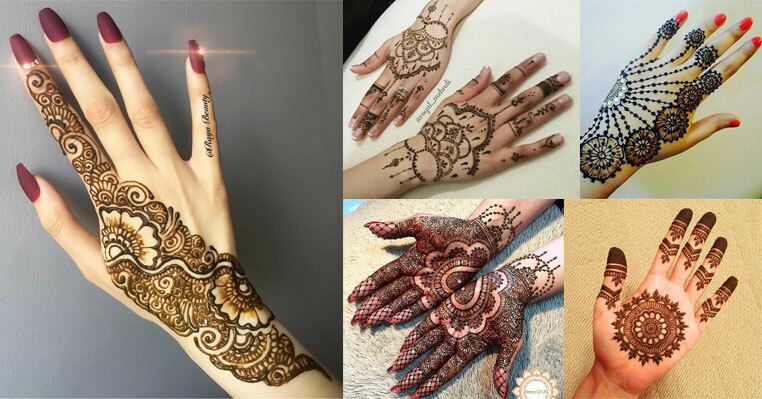 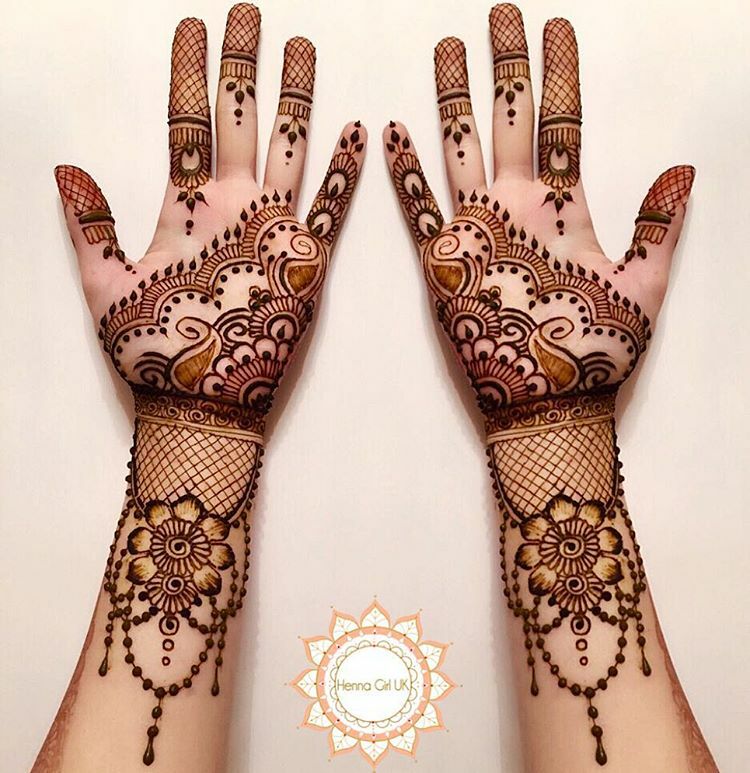 The following beautiful mehandi henna designs has been collected from Instagram user Sana (sanas_henna) who is a self taught Henna artists. 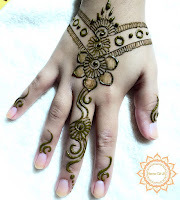 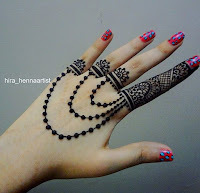 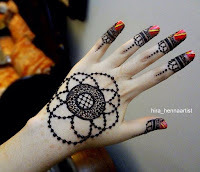 Her henna tattoo designs are not just simple to copy but also easy to design on hands. 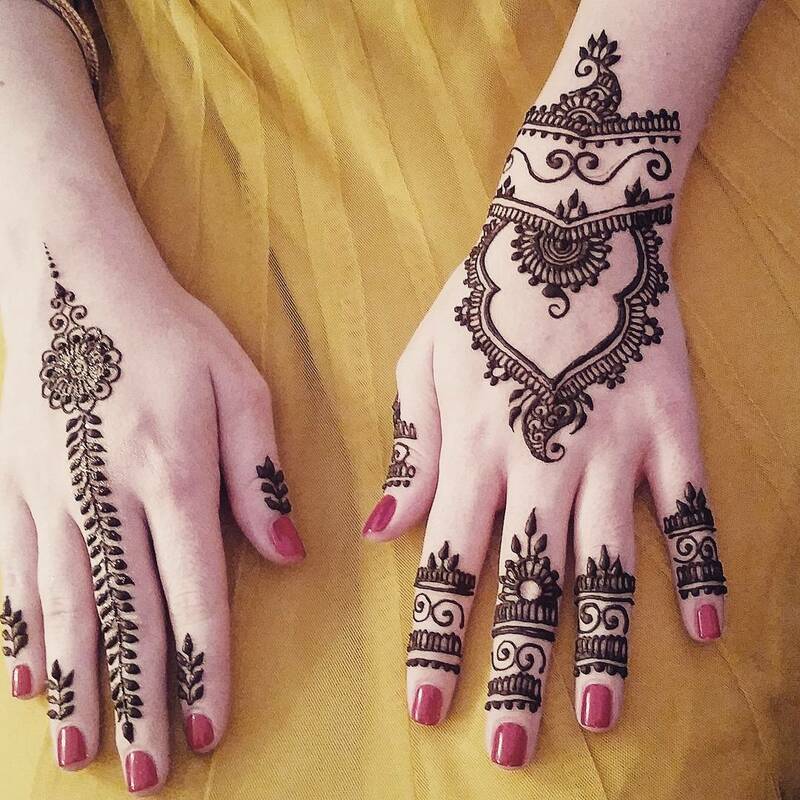 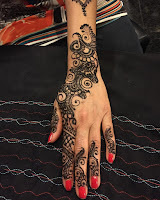 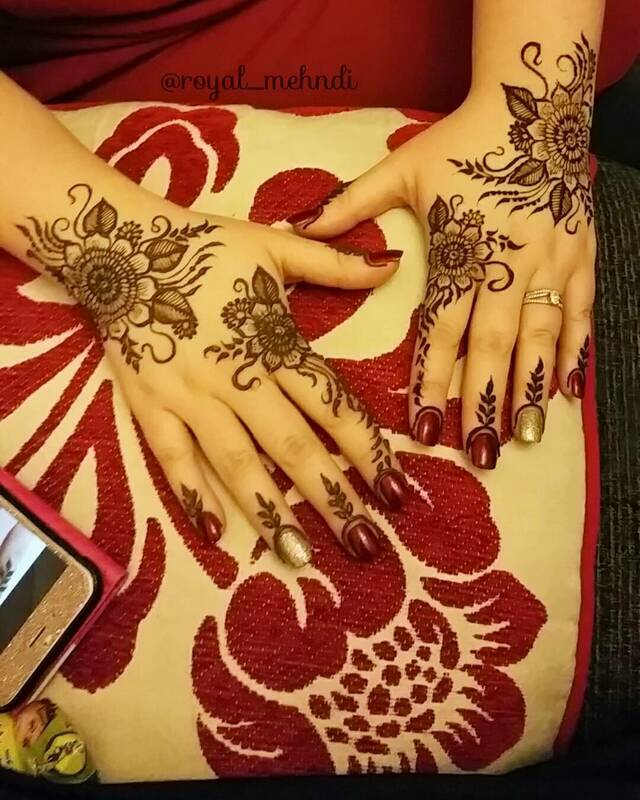 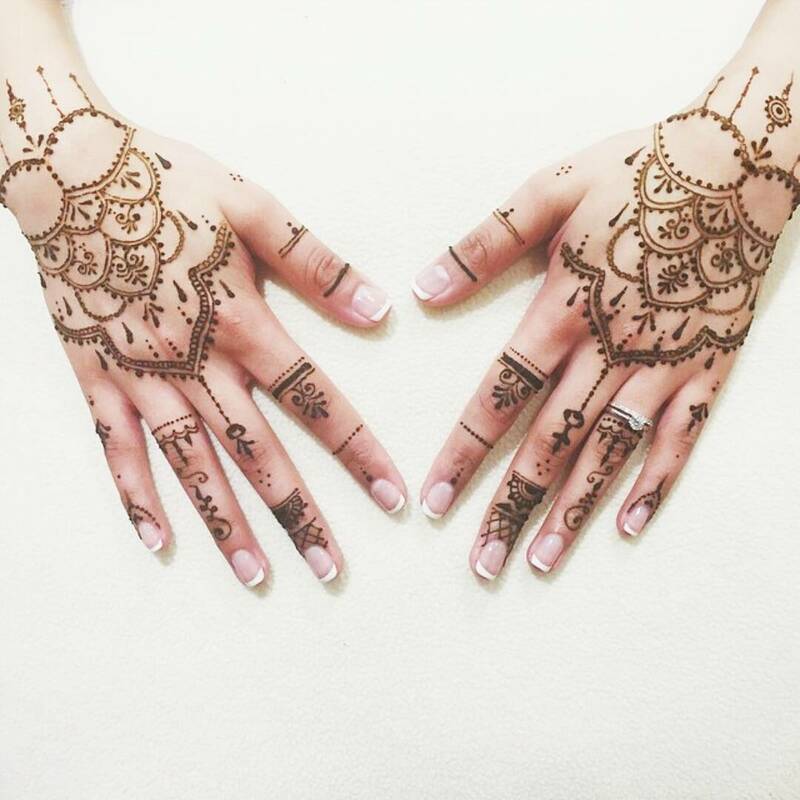 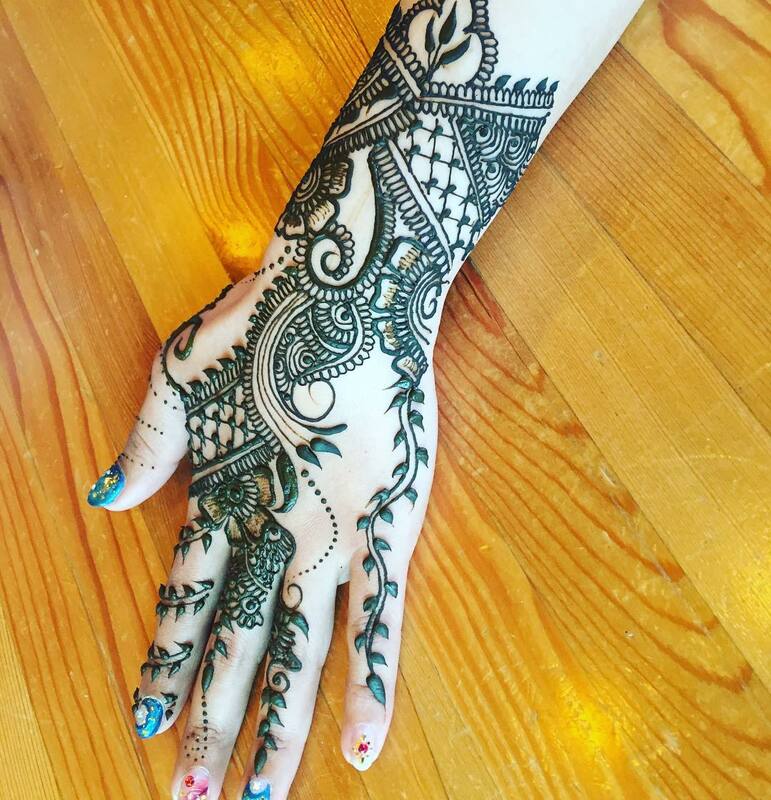 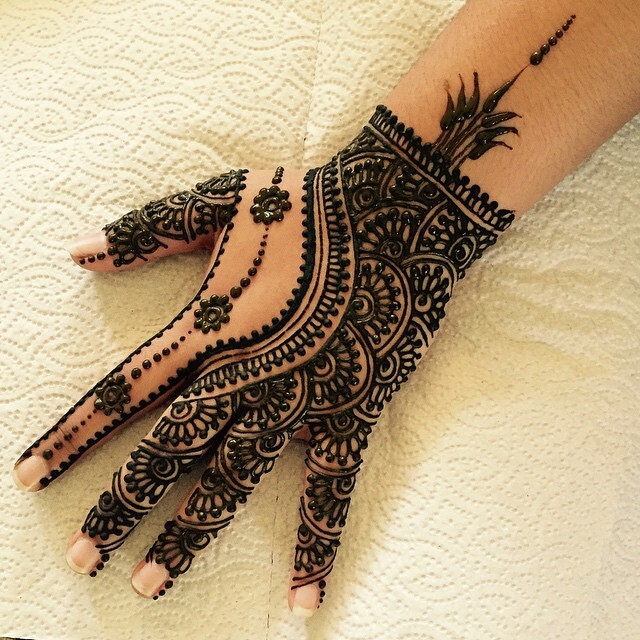 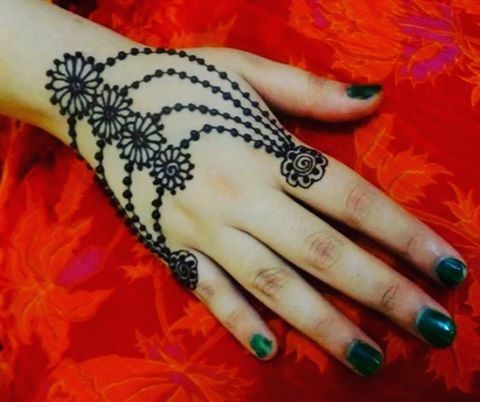 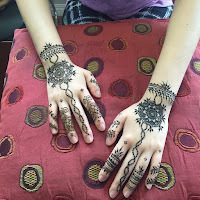 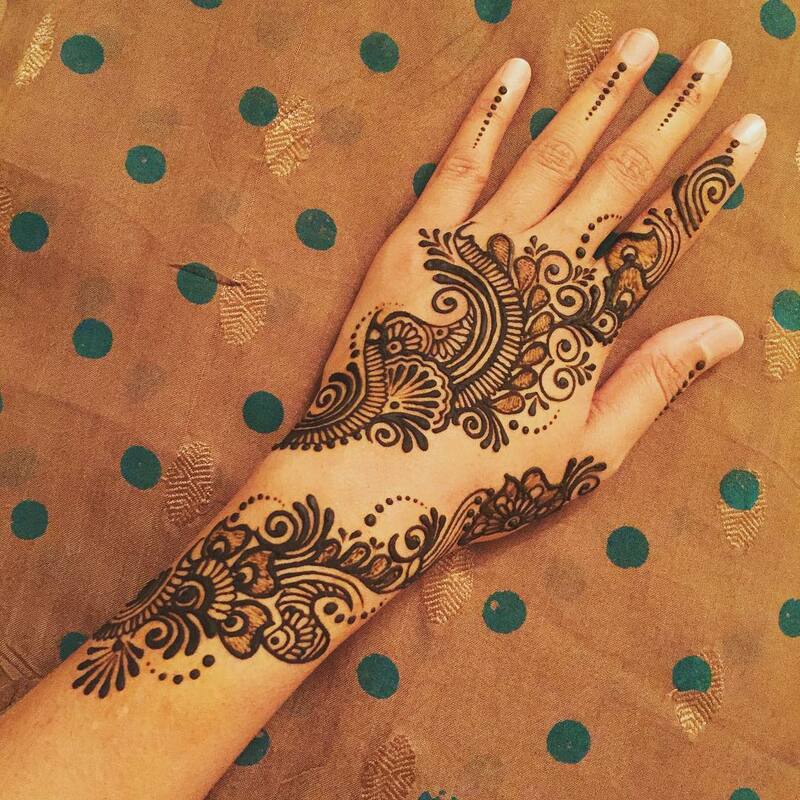 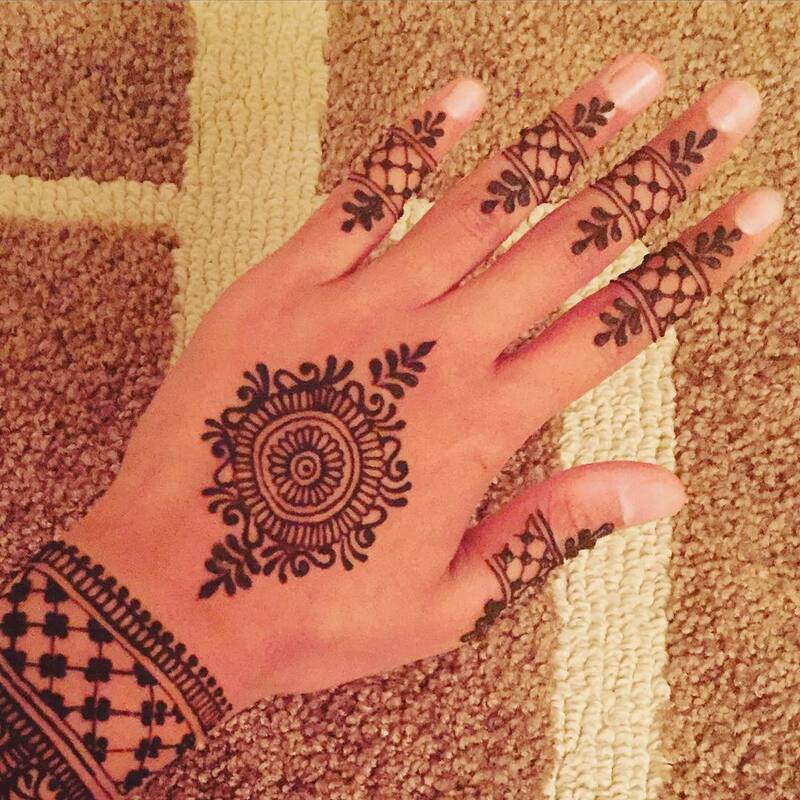 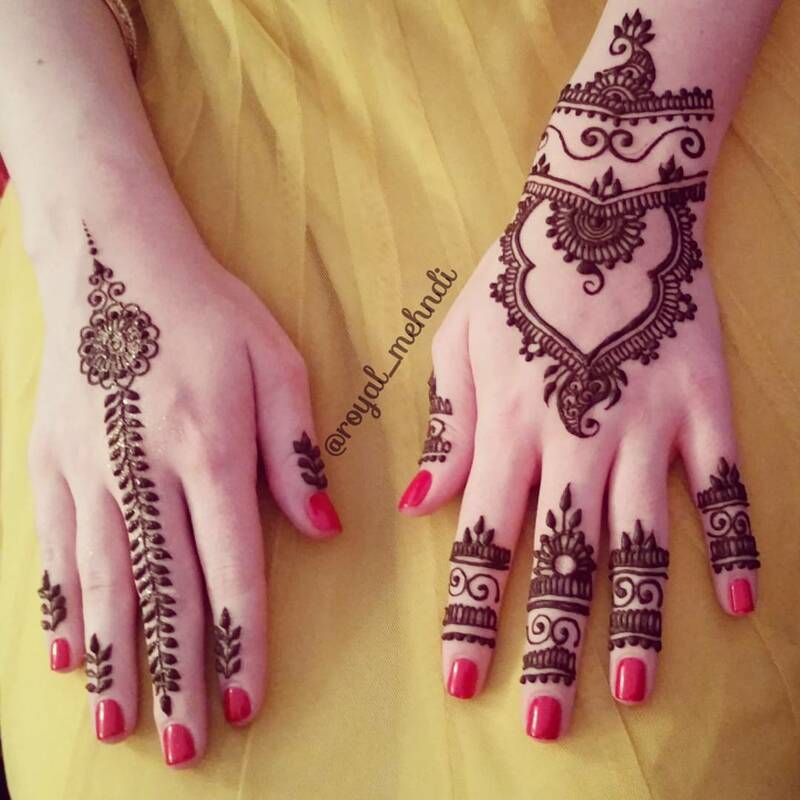 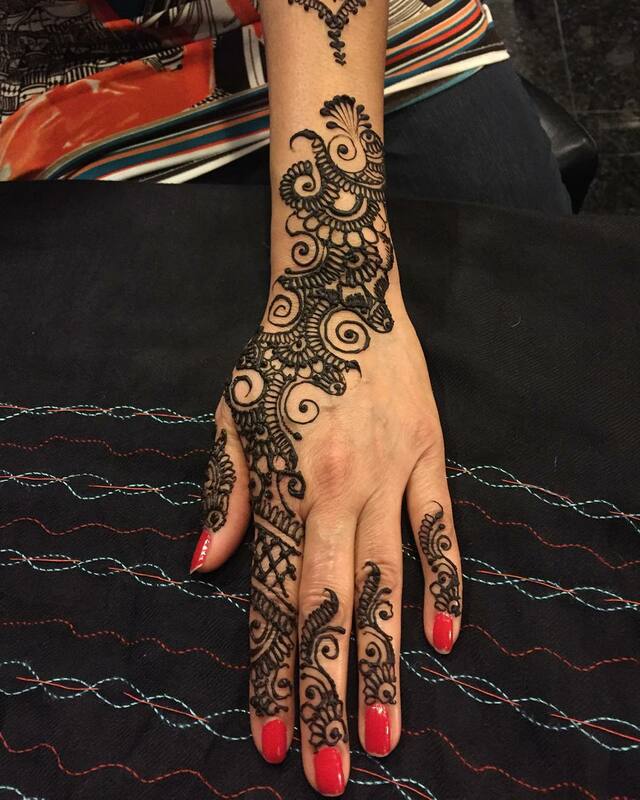 The following collection of Sana's henna has mehndi designs for both front and back hands. 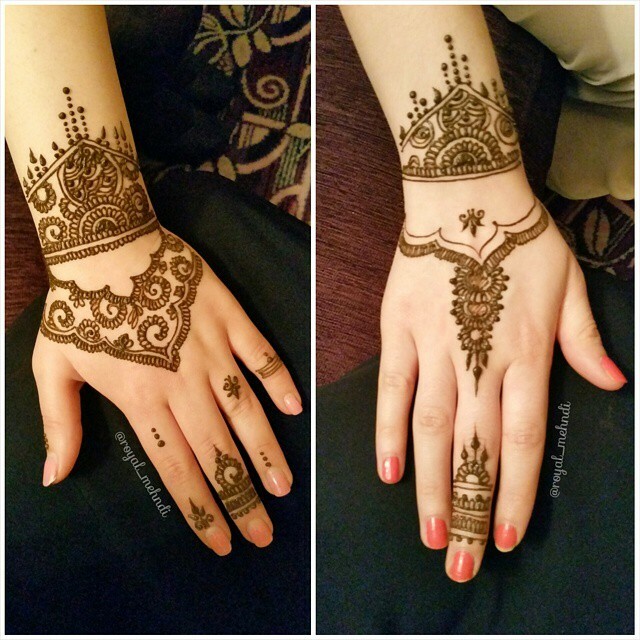 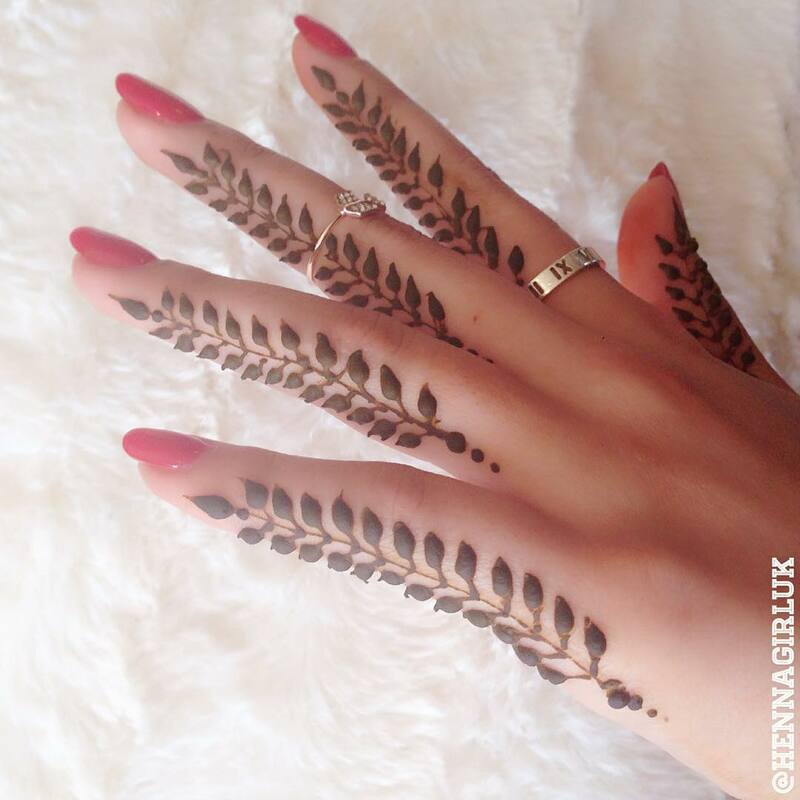 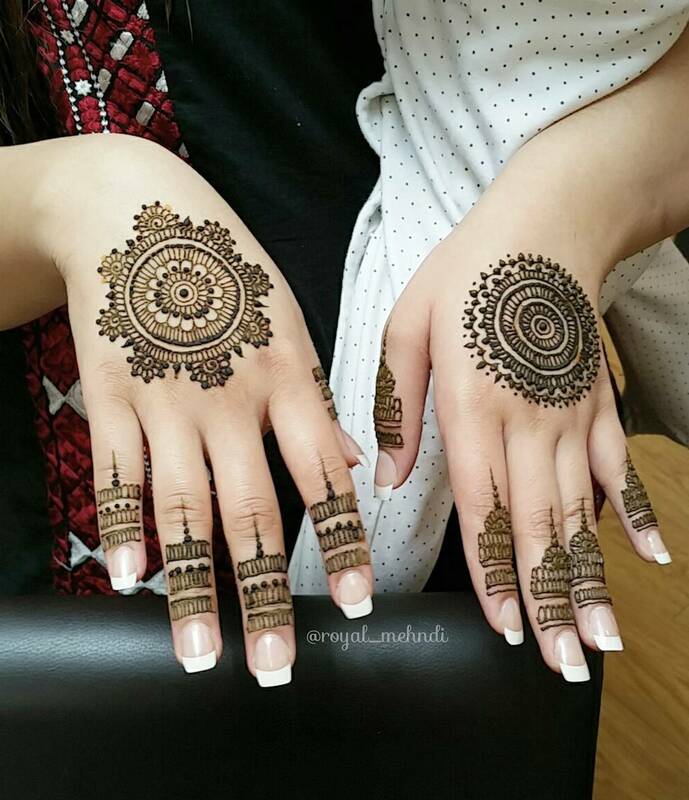 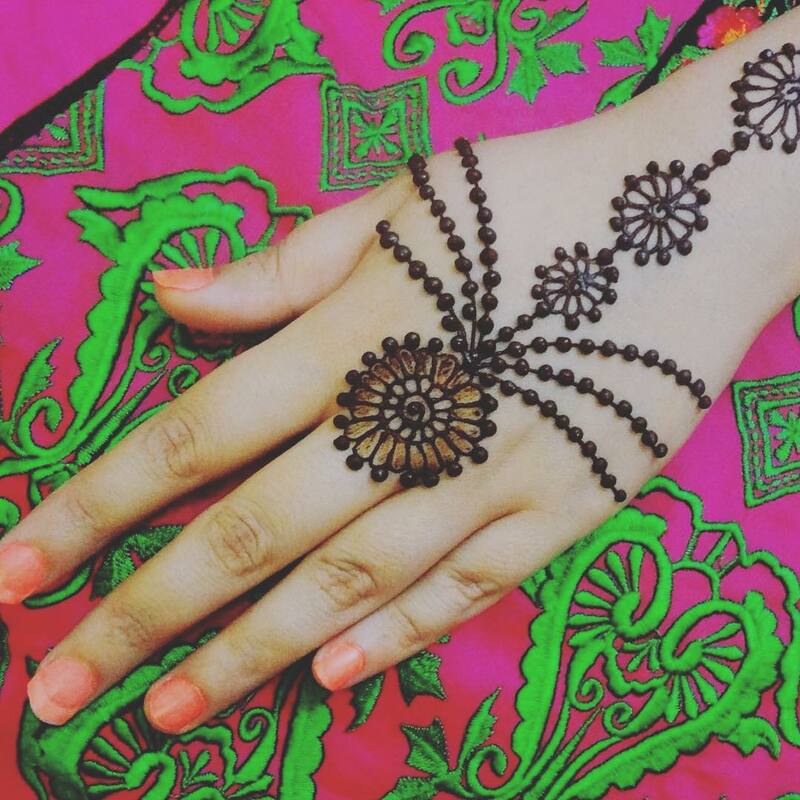 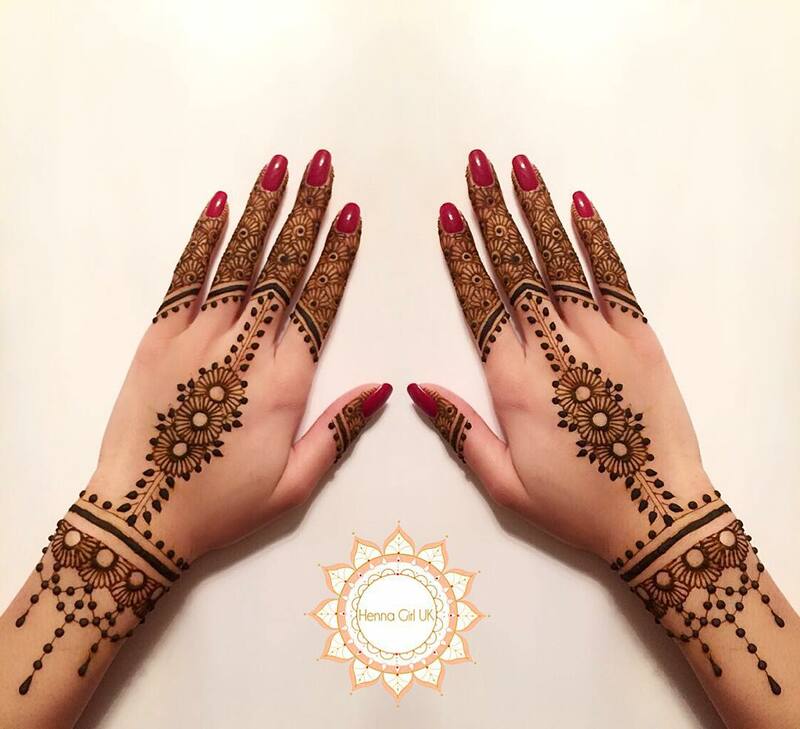 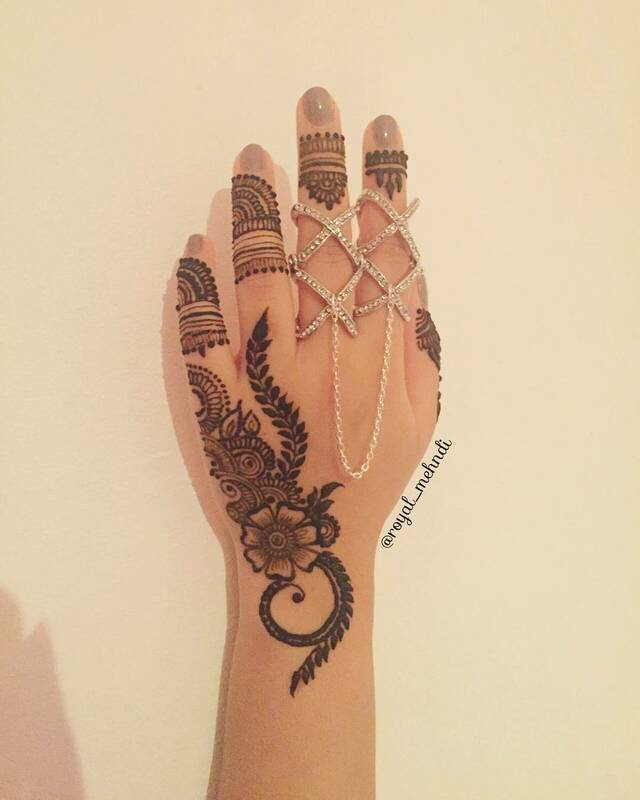 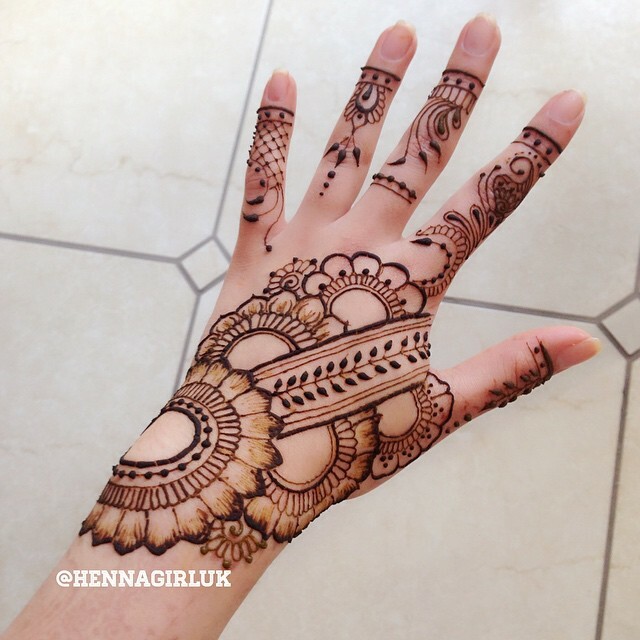 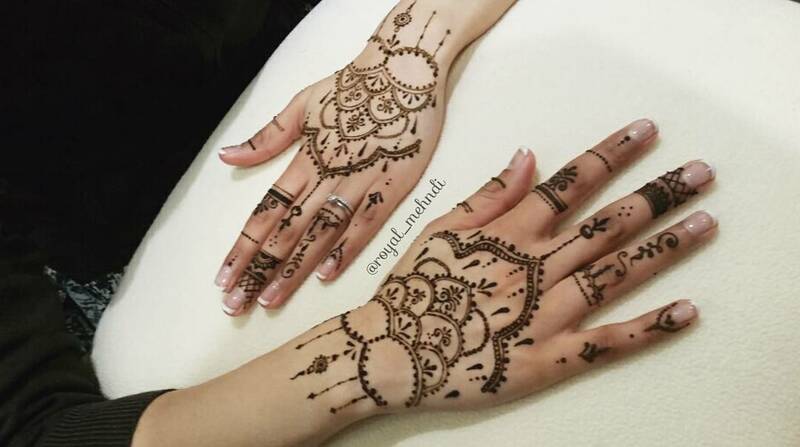 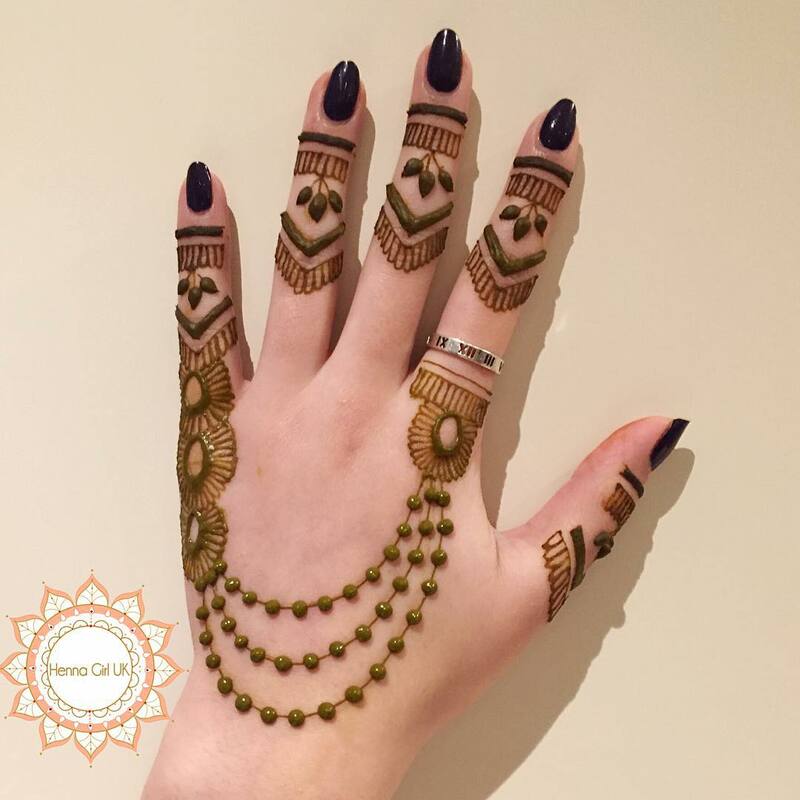 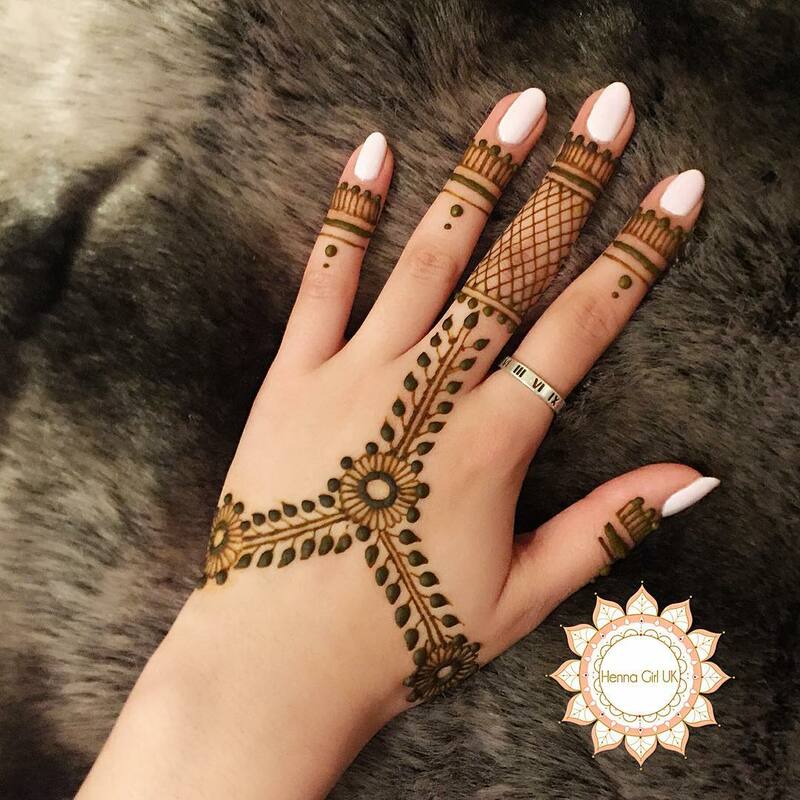 The following simple henna/mehndi designs has been collected from Instagram user hennagirluk who is based in UK. 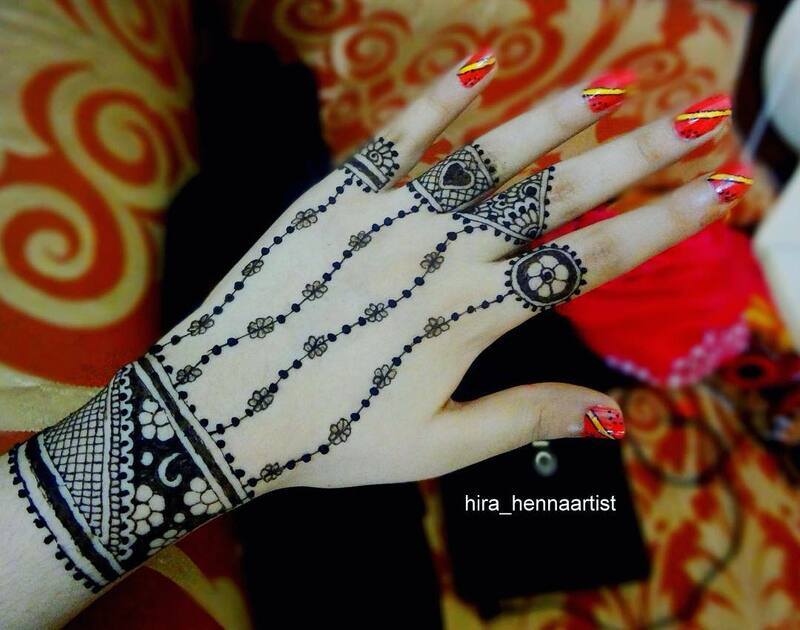 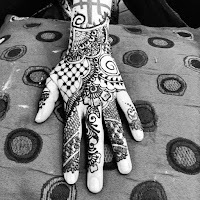 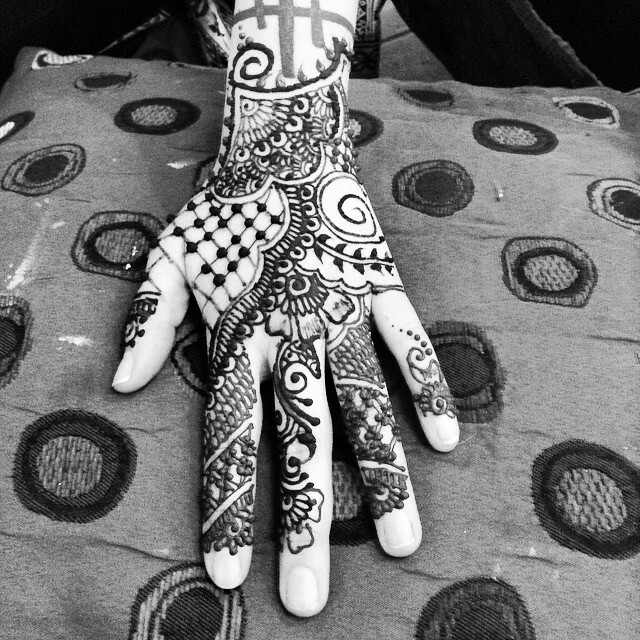 Her collection of henna designs is not just very beautiful but somehow easy to design on hands. This easy henna tattoo design collection is a perfect gift for those who are looking for mehndi designs for Eid-ul-fitr and Eid-ul-adha. The following beautiful mehnid designs has been collected from Instagram user Aleeha who is based in Vancouver BC Canada. You can book her services to get these henna tattoo designs on your hands. 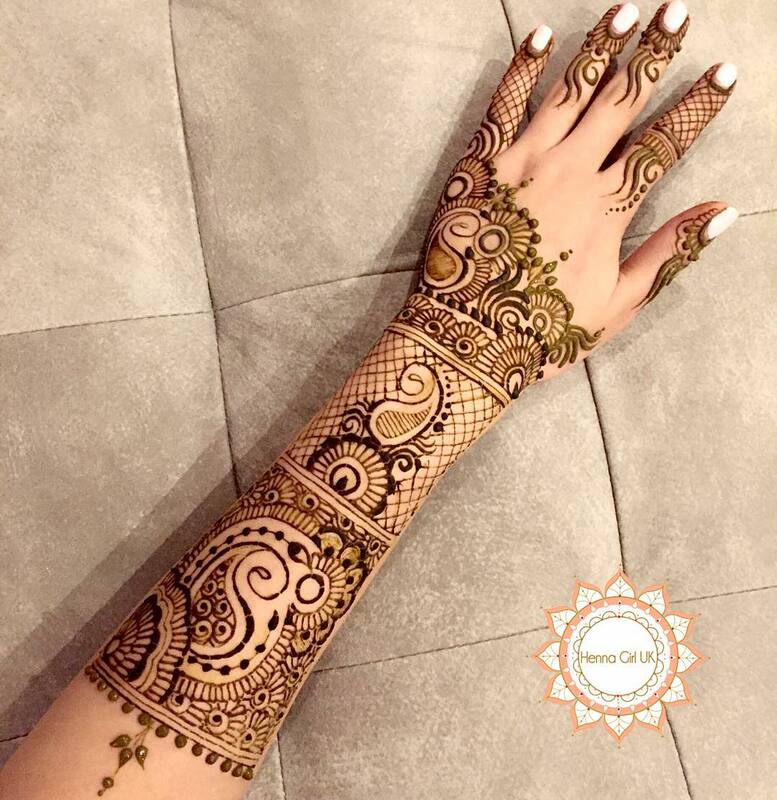 This collection of mehndi designs are perfect gift for those who are looking for henna designs for Mehndi and other wedding functions. 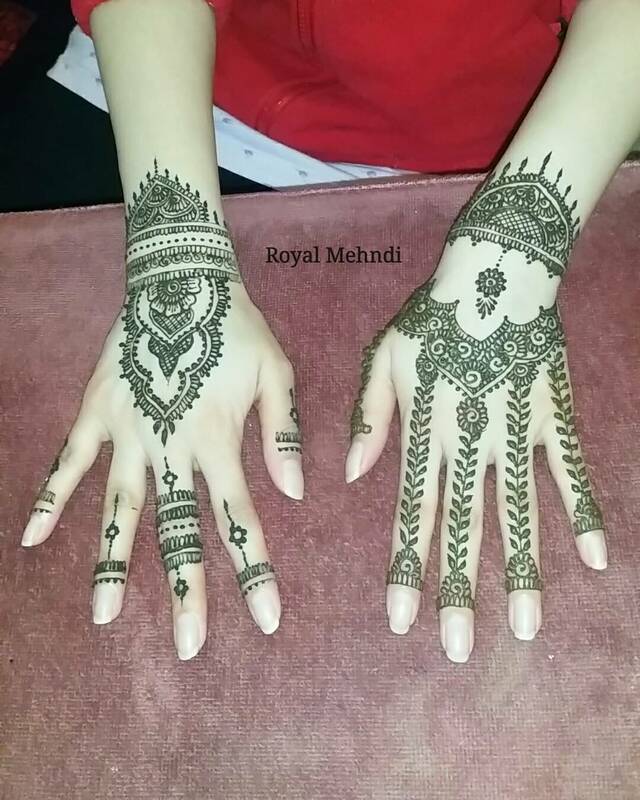 If you are looking for mehndi design collection for back sides of your hands then the following collection by Instagram use royal_mehndi is what you need to look at. 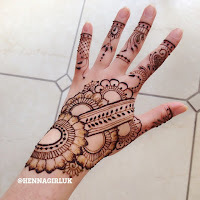 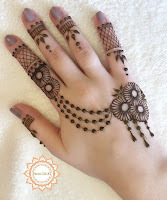 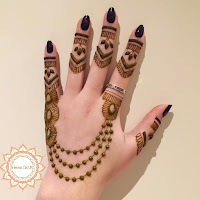 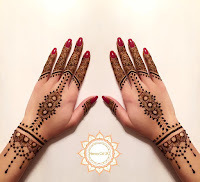 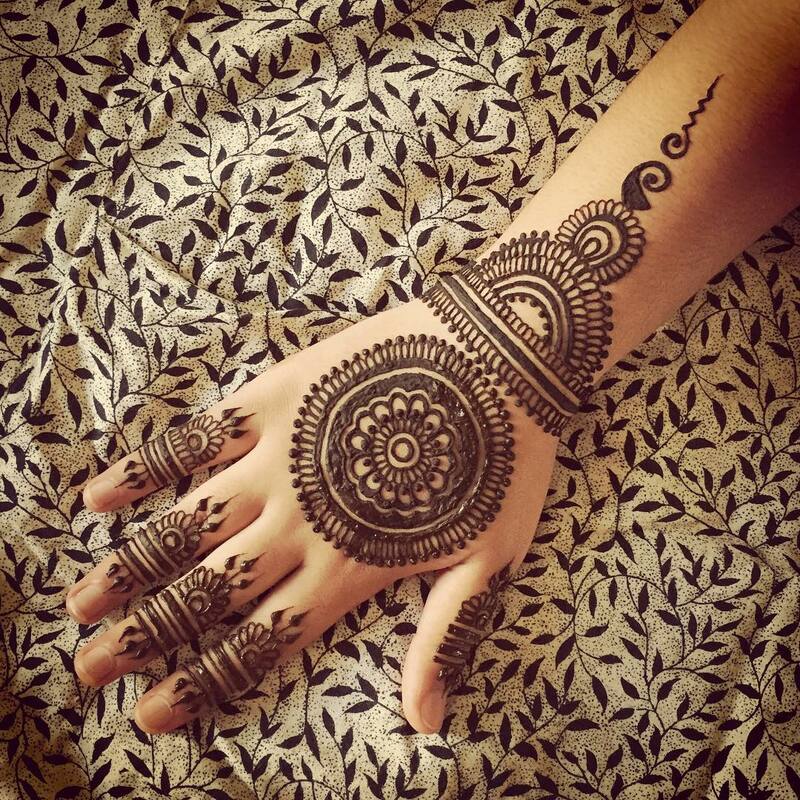 This henna collection is not just simple and easy to create but also very beautiful. 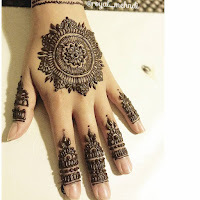 This mehndi design is perfect solution for those who are looking for mehndi design ideas for their hand’s back side. 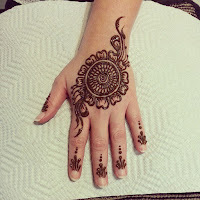 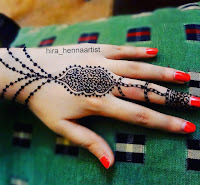 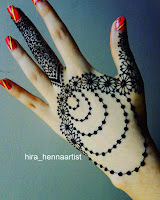 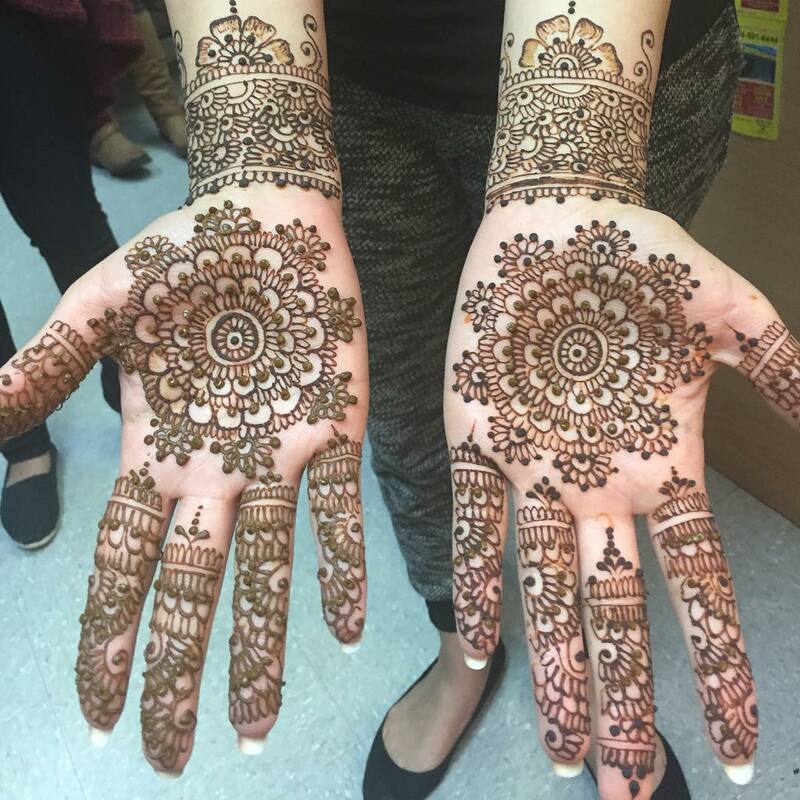 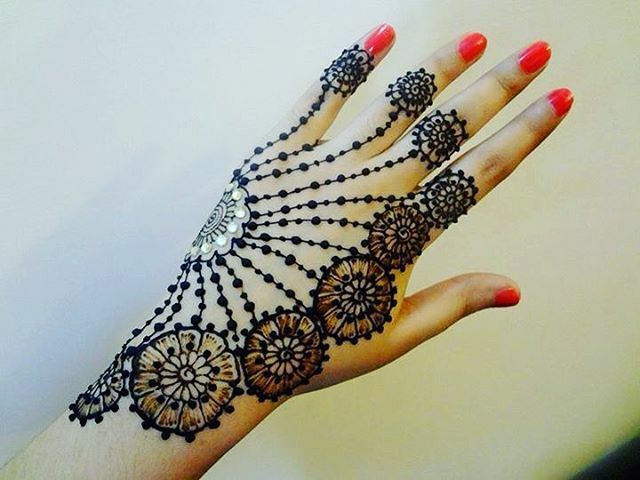 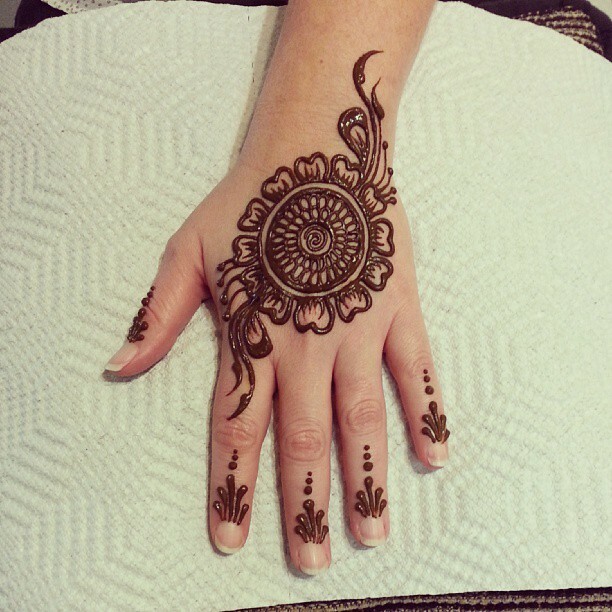 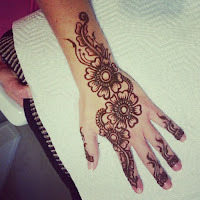 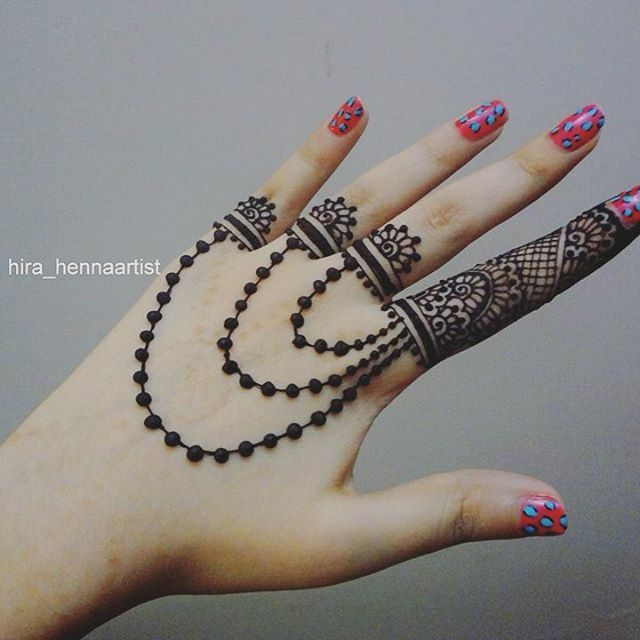 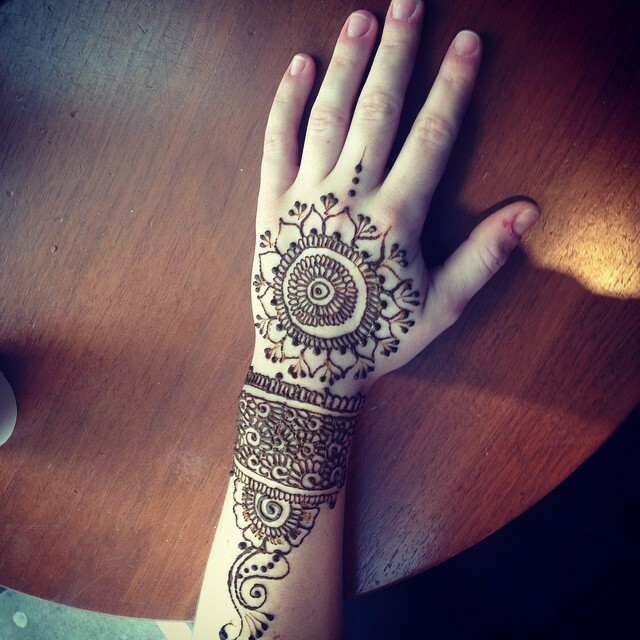 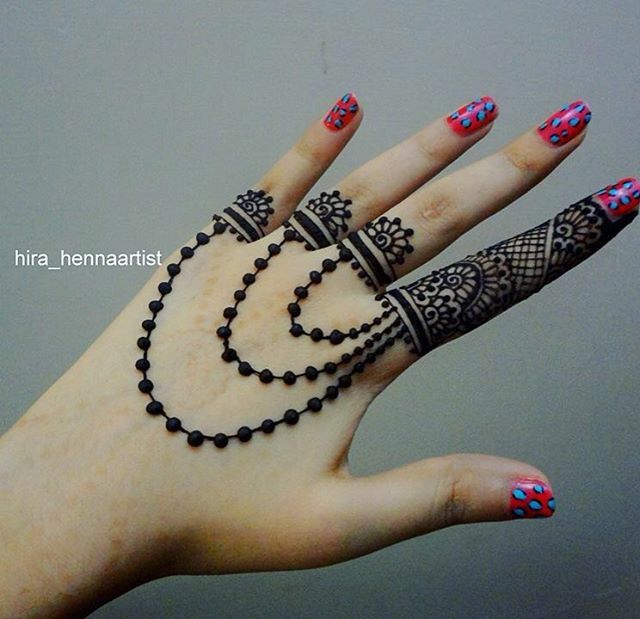 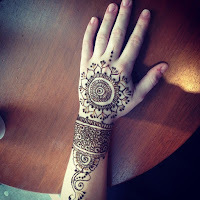 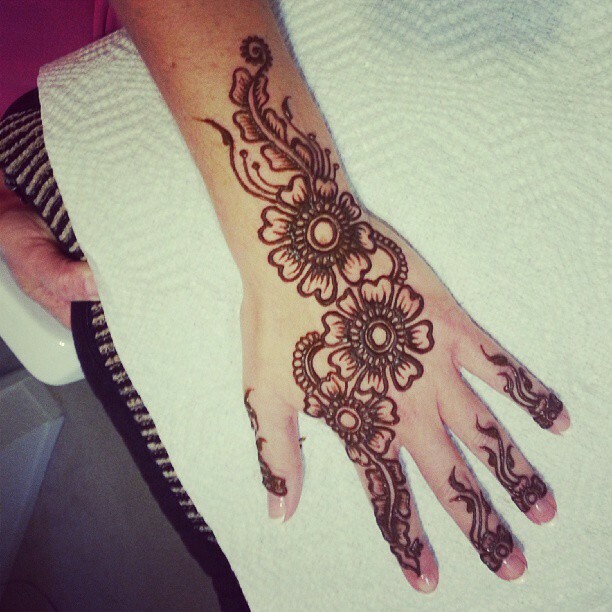 Hira is a Manchester based henna designer. 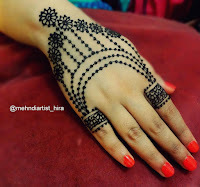 As compare to other mehndi design artist, her collection is easy and simple to follow. She has also focused on back sides of hands on her mehndi designs collection. 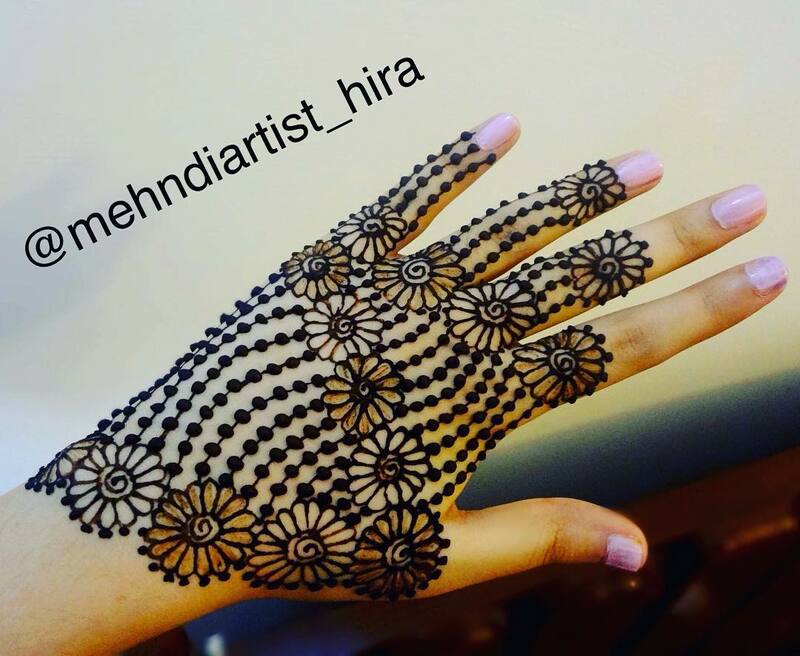 You can follow her on Instagram at mehndiartist_hira. 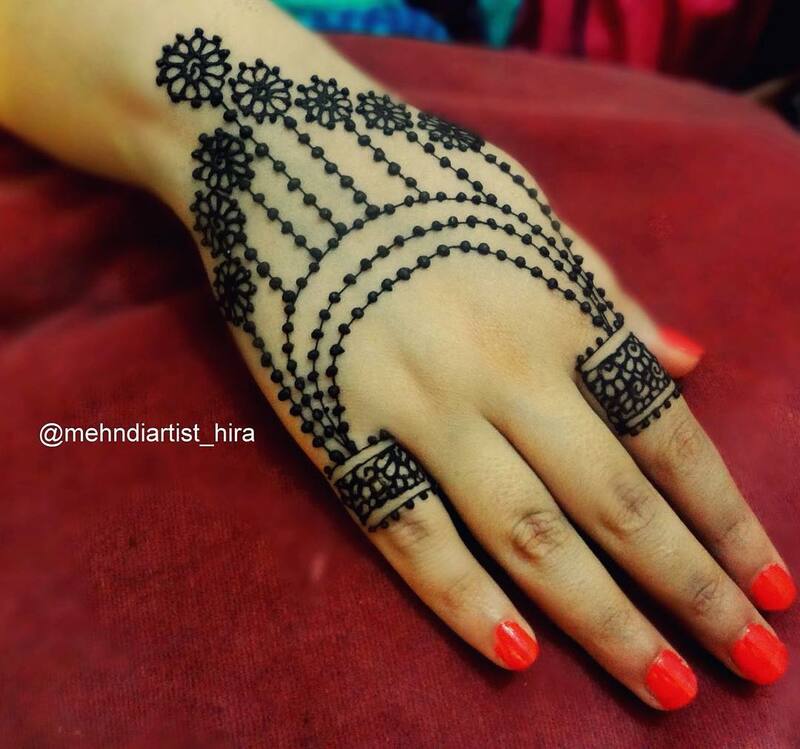 This collection of simple mehndi design could be fit on any occasion, festival or event.